According to Jeffrey A. Trachtenberg’s piece in The Wall Street Journal, the editorial mandate of the first issue of Airnbnmag was driven by what people have been searching for most frequently on Airbnb. Put another way, if this was the debut issue of Googlemag, Kendall Jenner would be on the cover. 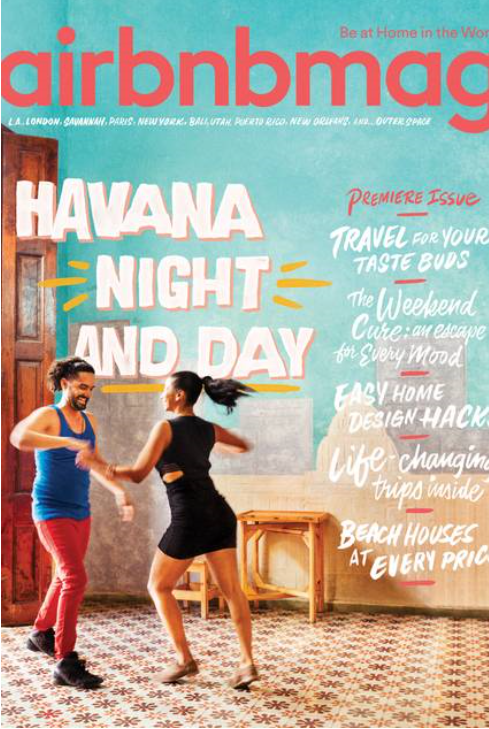 Given the recent lift of the U.S.-Cuba embargo, no surprise that the following destination has claimed the initial cover spot for Airbnbmag. Airbnbmagazine will be available starting May 23 in the U.S. and U.K. for $3.99. It is a print-only endeavor, with the second issue scheduled for September. Trachtenberg has some interesting details about how Hearst and Airbnb are working together. In Finland, Porvoo is most readily associated with the country’s national poet, Johan Ludvig Runeberg, who settled there in 1837. His home was opened as a museum in 1882 and fully renovated in 2004.